Freeze gummy spiders in ice cubes ahead of time. 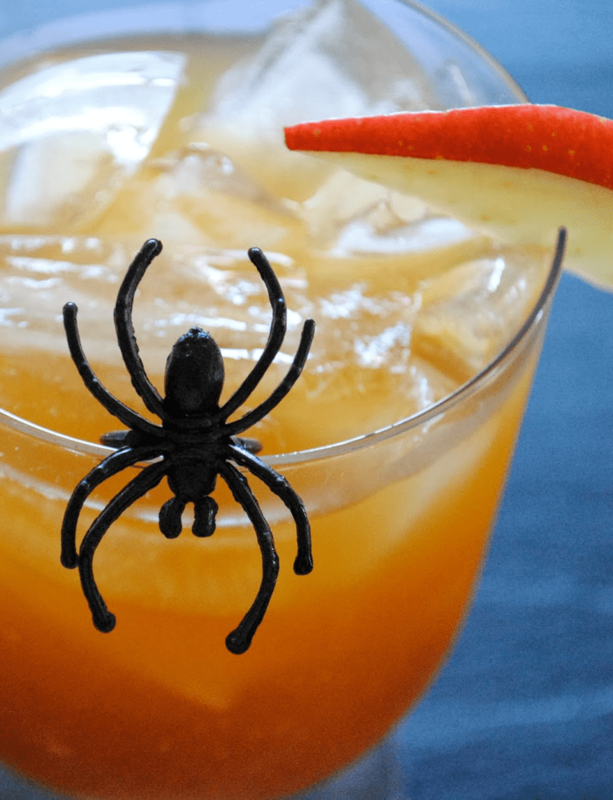 Fill a pint glass with the spider packed ice. Add Wild Apple vodka and schnapps. Top off with half cranberry juice, half apple juice.